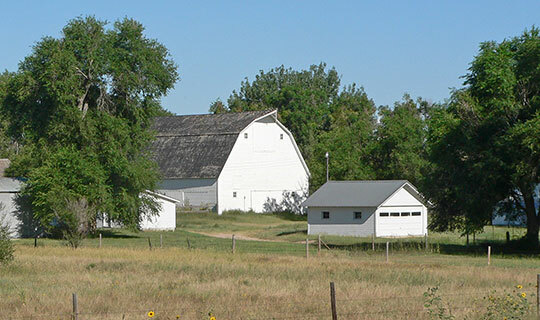 Photo: Gridley-Howe-Faden-Atkins Farmstead (Brookside Farm), Highway 71, Kimball, NE. Listed on the National Register of Historic Places in 1997. Photographed by User:Ammodramus (own work), 2010, [cc-by-1.0 (creativecommons.org/publicdomain/zero/1.0/deed.en)], via Wikimedia Commons, accessed August, 2015. Kimball County administrative offices are located at 114 East Third Street, Kimball, NE 69145; phone: 308-235-3591. Kimball County was established in 1888 and named for Thomas Lord Kimball, general manager of the Union Pacific Railroad.